How can acupuncture can help you? Have a look at the A - Z list of conditions. Co-founder Portobello Acupuncture Project in Notting Hill, London. An affordable community & teaching clinic that was hugely popular with the local residents. Staff Acupuncturist as part of the Occupational Health Team for Westminster City Council in Victoria, London. 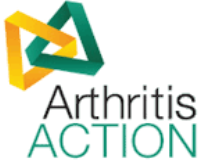 Practitioner for Arthritis Action, a wonderful charity that provides practical hands on support for people living with Arthritis.